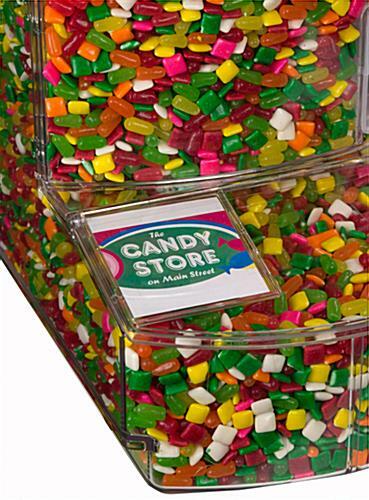 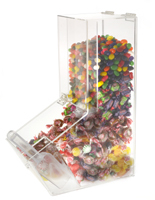 These acrylic candy bins are tall 5-gallon countertop storage containers with a small footprint and built in dispensing scoop. 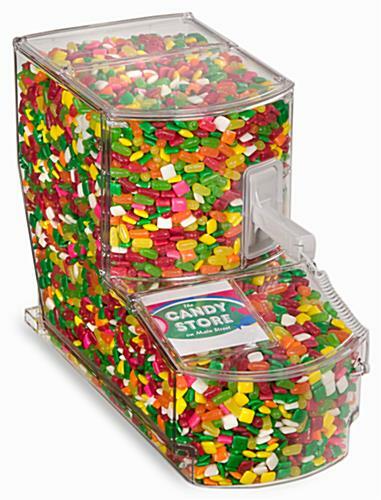 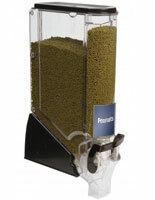 Each dispenser features a false front so that the contents always appear full for retail shops, supermarkets, or in other self-service areas. 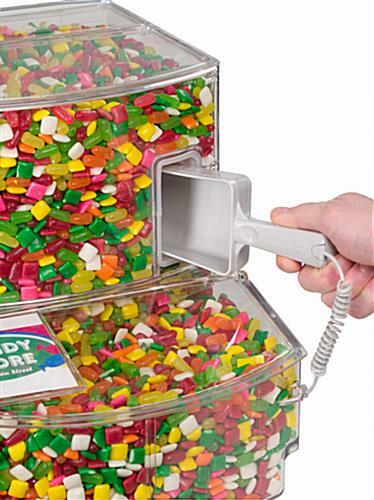 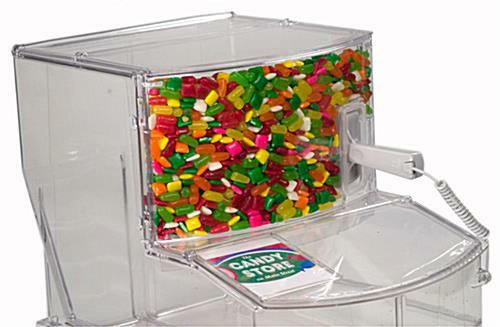 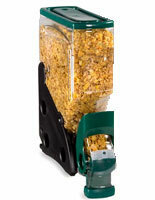 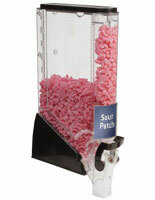 These versatile acrylic candy bins come with a built in holster and attached plastic scoop for easy dispensing. 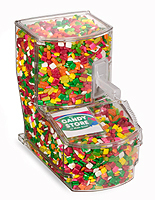 The containers have two access doors, one at the top for refills and a front panel customer self-service door with a label holder for pricing or identification. 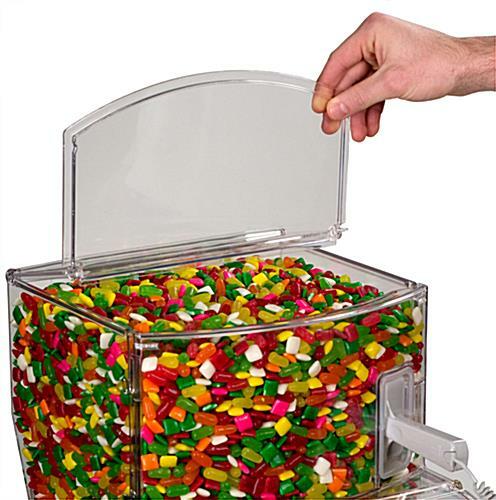 These 5-gallon acrylic candy bins are perfect for storage and display of candies, coffee beans, legumes, grains, rice, pastas, treats and much more! 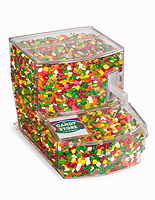 8.0" x 13.3" x 17.0"